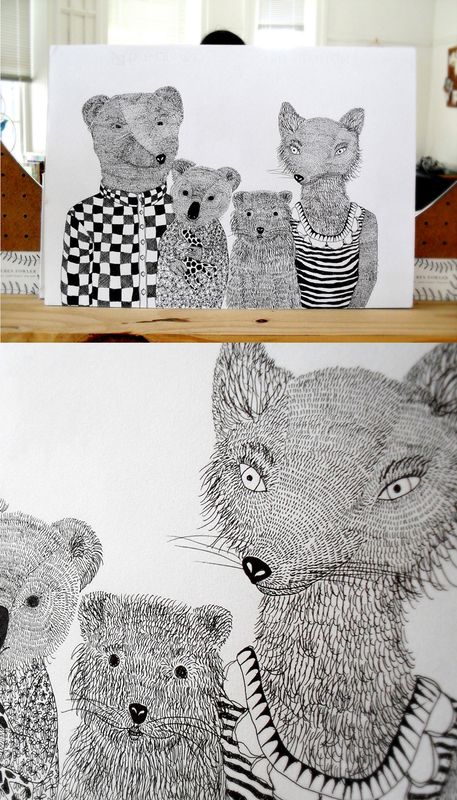 I've had another animal people commission, this time all the way from Ireland! My client wanted me to draw him, his wife and their cute little dog as well as the three of them with the addition of their adorable baby girl. 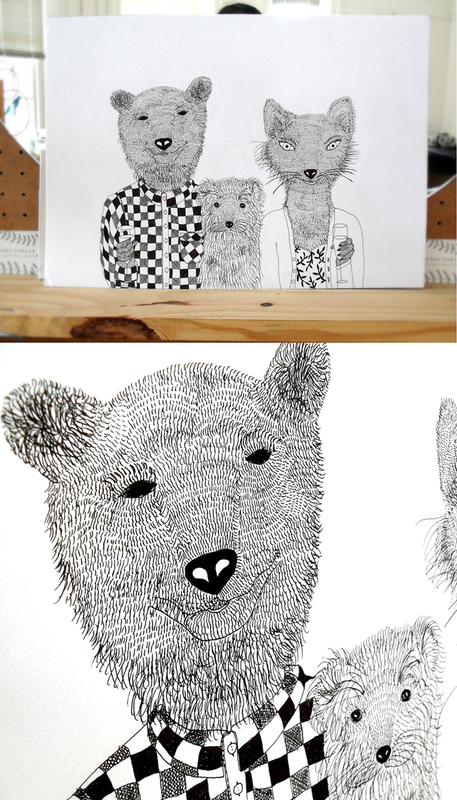 I drew him as a bear, his wife as a fox, doggy featured as himself and their baby girl as a koala!